We’re very excited about the new Audi Q3 and can’t wait for it to debut in the ‘States. It’s going to be priced low enough that a large group of Audi fans can afford it, it sports sharp new looks and has one of the best interiors in its class. So it’s going to be a big hit in America but we have to wait just a little while longer for it, as it’s not out here yet. It is on sale in Europe and Auto Express has recently given it a comprehensive review. So how is the Audi Q3? Well, AE gave it 4.5 stars out of 5, which is pretty darn good if you ask us. For their “Pros”, AE said: Smart contemporary style, Virtual Cockpit dashboard and extremely practical. For their “Cons”, they said: Not cheap, less fun than the BMW X1 and clunky manual gearbox. We haven’t driven the new Audi Q3, so we have to take their word for it but what they’re saying sounds about right. Though, it should be a bit more affordable in America, as it seems that Audi prices cars better here, without making everything an optional extra. Though, that’s just speculation based on observed pricing and shouldn’t be taken as a certainty. 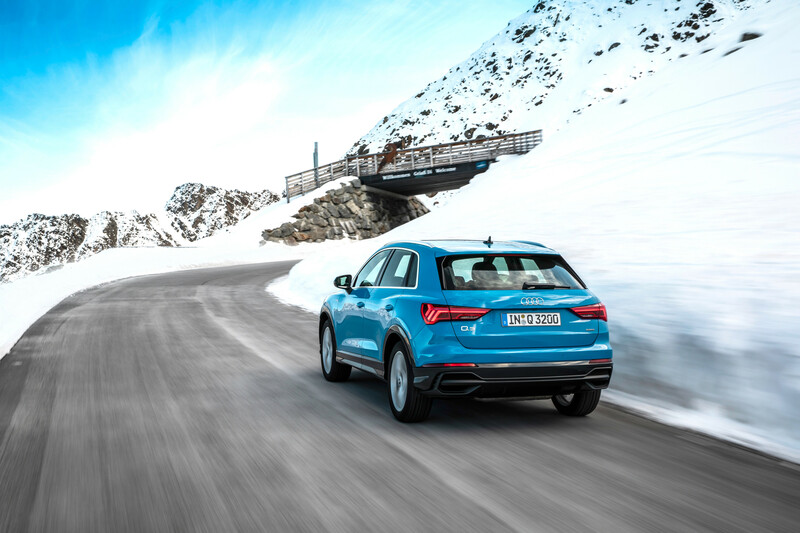 What we really want to know, though, is how the Audi Q3 drives. Personally, I’ve been outspoken about how bad the first-gen Q3 was. So I’m excited about the potential of this new car but am trying to temper that excitement. Still, we have reason to be optimistic when we hear reports like this. Sharp steering, agile chassis and limited body roll are all things we want to hear. Admittedly, AE does say that it’s not as fun to drive as the BMW X1 and, honestly, we weren’t expecting it to be. The X1 is a great driving car and Audi has never been known to make genuinely engaging steering feel, especially in crossovers. All we’re hoping for, though, is that it has sharp responses and does what the driver asks. If it can do that, we can live without a little of steering feel, especially because the rest of the car is so good.